Blue-Headed Pionus Personality, Food & Care – Pet Birds by Lafeber Co.
Blue-headed Pionus can be laid-back, relatively quiet parrots, which makes them ideal for those who live in apartments. With a shocking blue-colored head atop an emerald green body, the blue-headed Pionus is considered the most visually striking of Pionus parrots commonly ket as pets. Juveniles are mostly green, but will feather-out to their mature color after a couple of molts. Blue-headed Pionus are native to South America and Central America. They can be found in forests and semi-open country and their range includes Costa Rica, Venezuela, Trinidad, Bolivia and Brazil. A Pionus housed in too small a cage might become sedentary and overweight. House your Pionus in a spacious cage and setup toys to encourage your Pionus to move about. Pionus parrots, including blue-headed Pionus, have hearty appetites. 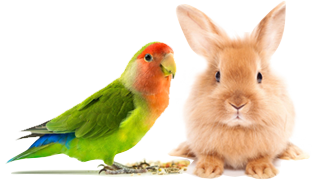 They should be offered a formulated main diet, such as Lafeber’s Premium Daily Pellets or Nutri-Berries, as well as fresh fruit and vegetables, especially those high in Vitamin A, as they are prone to Vitamin-A deficiency. Consult with your avian veterinarian for the ideal diet for your blue-headed Pionus parrot. A properly cared for blue-headed Pionus can live more than 30 years. Blue-headed Pionus have a reputation as being a laid-back, quiet parrot that can be territorial around the cage. While a blue-headed Pionus might not be as cuddly as other parrots, this bird can be quite affectionate, especially if it has been raised with respectful interaction and consistent one-on-one interaction. A frightened blue-headed Pionus parrot might make an audible wheezing sound, which an owner might mistake as a medical condition. The Pionus, in general, is known to be a quiet, easy-going, slightly-standoffish, mid-sized parrot. In truth, these descriptions are based on comparisons to the more commonly kept parrot species. Compared to the Amazon, conure and macaw, the Pionus is indeed quiet. Compared to lovebirds and African greys, it is very easy-going. Compared to cockatoos, it is a little standoffish. But Pionus lovers tell a different story — their birds are affectionate (though not complete love-sponges), quieter than other parrots (though not silent! ), and they are attentive and sweet. As with all parrots, the way a Pionus is raised by its human guardians makes the difference between a shy bird and a great companion. A Pionus guardian should be ready to spend a great deal of time with their bird. In a home with other louder, more demanding birds, the Pionus may not get the attention it requires. Pionus aren’t known as the best talkers, but some can compile impressive vocabularies. A blue-headed Pionus parrot’s voice might sound raspy, so pay attention to your bird’s vocalizations for words you might be missing. Because the Pionus is quiet in comparison to many other parrot species, it can be an ideal companion for those who have close neighbors and/or share a common wall. Like most Pionus parrots, blue-headed Pionus are susceptible to vitamin-A deficiency, aspergillosis, which is an avian respiratory disease, as well as fungal infections. Visceral gout is another condition Pionus parrots can be prone to, which might be diet related. If fed an inadequate diet, especially one high in seed, Pionus can become obese. Blue-headed Pionus are the most commonly available Pionus parrot species. You are most likely to find blue-headed Pionus in avian-specialty stores and from bird breeders. They are also occasionally available for adoption from avian-rescue organizations.